Introducing my new tank… I am still in the process of getting my corals to settle in and grow. 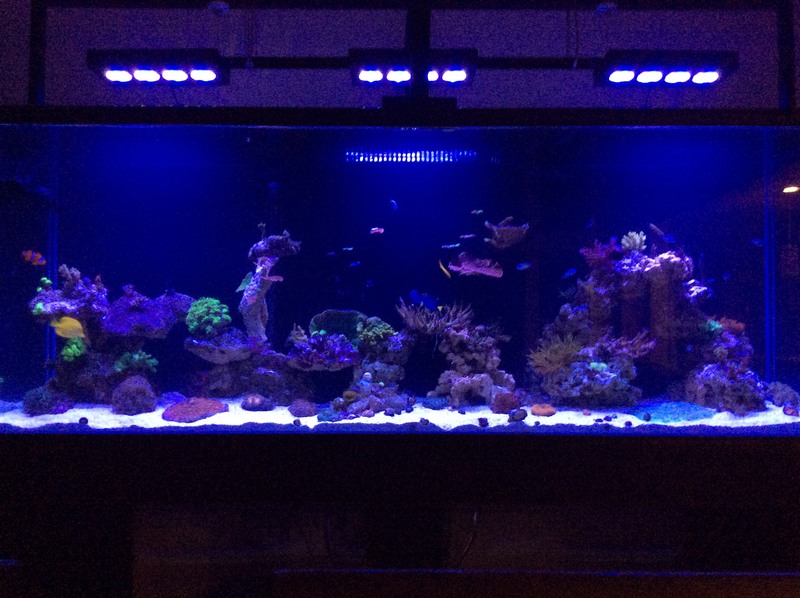 As some of you may know, I recently upgraded from my Oceanic Biocube 29 g to the Oceanic Illuminata 57 g. I moved over all my corals – definitely not enough to fill up the new tank. I just bought some high end frags and hoping they will make it. This will also be my first venture into an externally plumbed tank… not much sleep the first night! I will keep this list updated with equipment and corals.